It was evident from a few sources that Microsoft is working on developing Edge, based on Chromium, the same open source project on which popular browsers like Google Chrome, Opera, Vivaldi, and Brave browsers are built on. Some of the earliest builds of this Chromium based Edge were already leaked and some geeks were already trying it out. But today, Microsoft has publicly launched the first ever Chromium based Edge preview builds, under the Edge Insider Program. 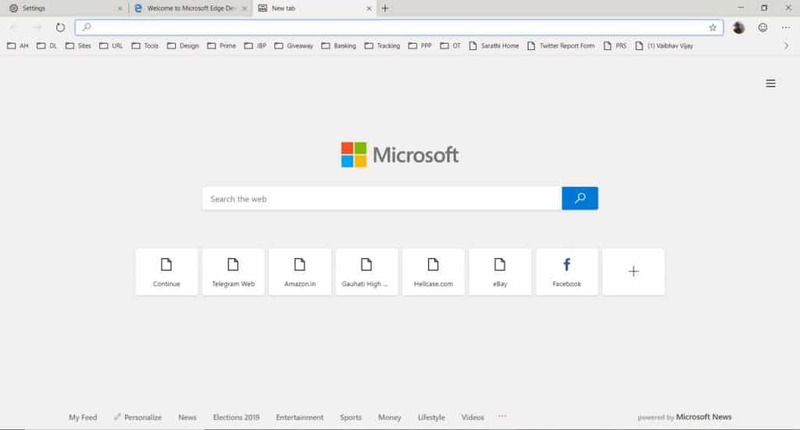 Now, there is a dedicated page for Microsoft Edge Insider and there Microsft has asked the community to try out the previews to see what they are working on and also urged users to provide feedback about the all-new Chromium based Edge. Interestingly, Microsoft seems to have adopted the same naming scheme as Google to differentiate among different versions of the preview builds of Chromium-based Edge. As of now, there are two channels- Dev and Canary. The Canary variant is updated daily whereas the Beta Channel is updated daily. Microsoft says that every night it will produce a build of Chromium-based Microsoft Edge and if it passes automated testing, it is released to the Canary channel. The Canary Channel is the right place for geeks as it the same channel from where builds are tested for bugs and clearly, it is for those who don’t mind facing a few bugs or for those who want to find out bugs. The best build of the week from the Canary channel is passed onto Dev Channel and for selecting the best build, Microsoft considers user feedback, automated test results, performance metrics, and telemetry. So, if someone is planning to use Edge on a daily basis, the Dev Channel is the perfect choice for him. At the end of last year, Microsoft announced that it will be adopting Chromium as their base for developing Edge for ‘making the web better through more open source collaboration’. 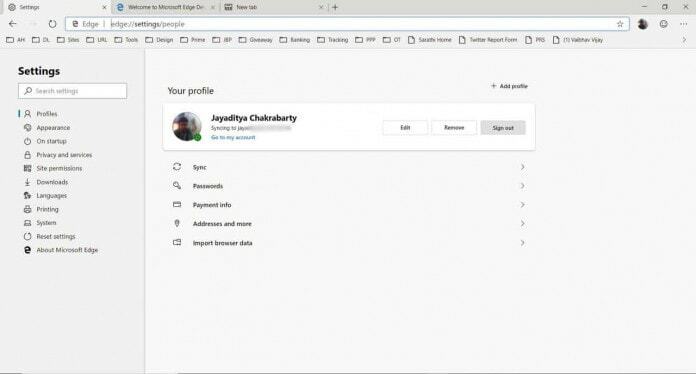 The new Chromium-based Edge build looks like a fusion of Chrome and the old Edge Browser we have been using till now, with a refined design that has subtle touches of how other Microsoft products are designed. However, many more changes are scheduled and some improvements are yet to be made, so don’t expect it to perform as good as Chrome for now. As of you, you can download extensions from Microsoft Store by default but there is also an option to download extensions from other sources, like Chrome Web Store. However, Edge-specific features like Set Tabs Aside, inking on the web, and full PDF support is not available yet, neither the new Chromium Edge will sync with Edge for Android and iOS. But, now it is quite sure that from being notorious for sticking to Internet Explorer and Edge, Microsoft is now quite determined to improve the experience of users as soon as they boot their PC for the first time- No more using Edge for downloading Chrome first! Previous articleAsus Zenfone 6 Leaks – It can Slide Both Ways Like Nokia N95!